How do YOU Start Building a Team? here are classes, books, and coaches available to help you learn how to build a real estate team. MREA will be the book I refer to in this blog. It was my go to for everything in those early years and changed the way I thought about team building, budgeting, models, goals, and talent. What you will find here, in this post is a first-hand experience of someone who has built more than one team during their life and who currently has a real estate team as well as a large marketing company. You’ll read tips and mistakes. You’ll find links to additional resources, videos on certain topics, and directions to find the best training. I’m afraid I don’t have all the answers. I don’t believe anyone does. What I have is experience, and I’m happy to share that with you. 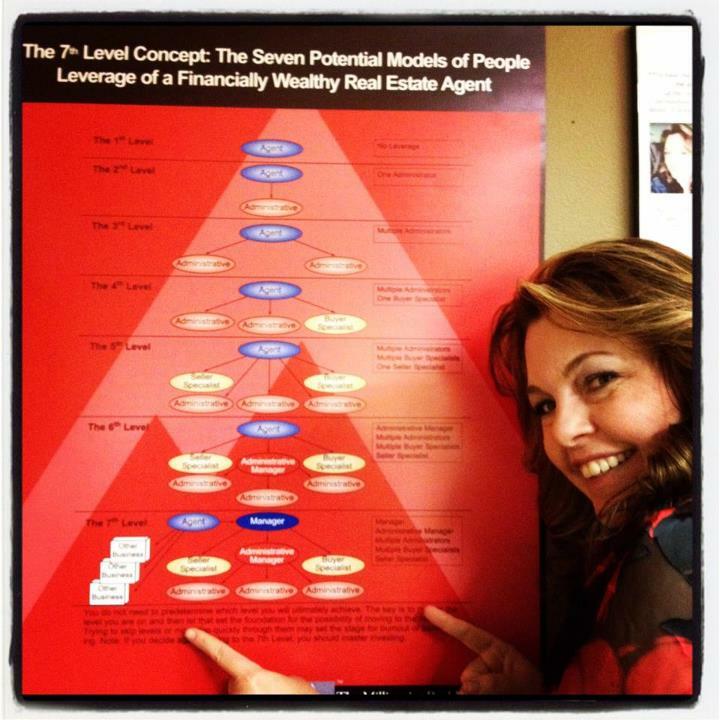 I’ll also share some of the “standard” models and bring insight from MREA, Millionaire Real Estate Agent. People that have read this article have also been interested in learning more about how to add real estate SEO to their lead generating strategies. You Might Also Enjoy: How to become Successful as a Real Estate Agent. This is a great blog post to share with your new team members and growing agents. In 2010, I joined Keller Williams. I primarily worked listings. I was dirt poor when I joined Keller Williams. I had no credit cards, no cash in the bank, and no clue. Okay, I had a clue, a nice Red book called MREA. Fortunately, I was with a company that fosters teams. While teams are actually a small part of the company, which has over 154,000 agents, KW understands them. They provided the models, and I went to work. MREA says, that in spite of being called “Millionaire Real Estate Agent”, it’s not really about the money. It’s about aiming high. That’s what team building is really about. At the end of my first full year at Keller Williams, I landed on the top 250 agent list by production and was listed in the top 1% of all agents. I was ranked #25 in Real Trends for my region. My business is driven completely by web leads. Half of those leads are search and half are social, including the real estate agent referrals I receive via Facebook. I, like many, ran into some profitability issues during growth phases. 2013-2014 were amazing years. I had found a sweet spot with the team, launched my training system, and took 20 vacations over the 24 month span! And then, my marriage began failing and I didn’t have the focus to continue building that side of my business. I switched to a referral model and moved away from the physical team. It was a cool model. I handled all of the lead generation and worked with other agents (local and national) to work with the clients. Match made in heaven if you as me. And, I was profitable doing so (in my pajamas)! That model has actually been my favorite, except there are a couple of holes in it. I still believe in the referral model, and for some, it’s the way to go. For me, I ultimately decided that having the production in my name is important for validity which is important for my speaking business and digital marketing company (we build real estate websites!). So in 2017, I brought back on my first full “team” agent and went to work again building. 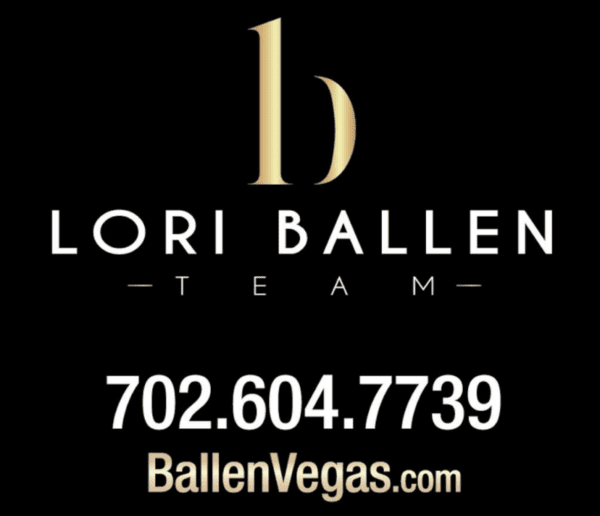 If you are new to ‘Lori Ballen’ and The Ballen Brand, you may be in for a shock. I’m one of the most ‘REAL’ Realtors® you’ll probably ever meet. I’m the first to admit my own mistakes and failures. I’m not ashamed. I’m clear that in order to succeed in business, you must fail forward. I’ve succeeded in my life many times and have failed at many things along the way. I look at my team building efforts as a constant fail forward, as it should be according to any model of success. I’m happy to share from my own experiences and discuss where I fail forward through my build. I’m certain this post will be a growing post as I continue to learn and experience new things as we grow. This is a long overdue blog post. I’ve been building “teams” since the 1990s when I had a catering and entertainment company. My events often consisted of thousands of people in attendance since my company was the “hotel” caterers for company picnics. For each big event we catered, we had teams. Of course, it all started with the sales and administrative teams back at the office that first booked the event. Seth Campbell is no stranger to team building or leverage. Seth quickly moved up the real estate ladder from single agent, to agent with administrative help, to a full blown team. From there, he stepped into higher level leadership and became a regional director, market center (brokerage) operator/owner, and then built the top expansion team in the world. His secret to success? People! Watch the “My Admin Owns It” video by Seth Campbell here. You have to realize that I was able to build faster because of my experience in business and in building. Real Estate is a different game, yet played in a similar fashion. I adapted quickly to building a team as all I have ever known is how to work with and through others. I was different than most real estate agents, in that I knew from day one I was ready to build. I’m a builder by nature. There wasn’t a question that I would add “leverage” (team members) sooner than later. Let me sidebar for a moment though and give a bit of advice. Most real estate agents won’t build. Many that do will fail before they reach a level of freedom in the build (moving themselves out of the day to day tasks). Many will fail to learn the steps in building and will get the job back again and again and again causing them to give up or struggle intensely while building. Building a team is not for the faint of heart. But those that do it well are going to find an amazing amount of freedom, both financial and in time. My advice to most would be to build by demand. In my catering company, I built as the need was there. I acquired other companies when the finances were there, and supply and demand existed. I added team members and leaders when the budget permitted and a need was there. One day, I looked up and realized I was no longer needed in my business. This was 7th level (as described in MREA), and it was built naturally, organically, as was needed. THIS is how a real estate team will be built successfully by most that do well. (Oh and, by the way, it’s all based on strong lead generation). Before I could build a team, I had to learn the language of real estate as a whole. Before I could build, I needed to comprehend better how a real estate business is built. 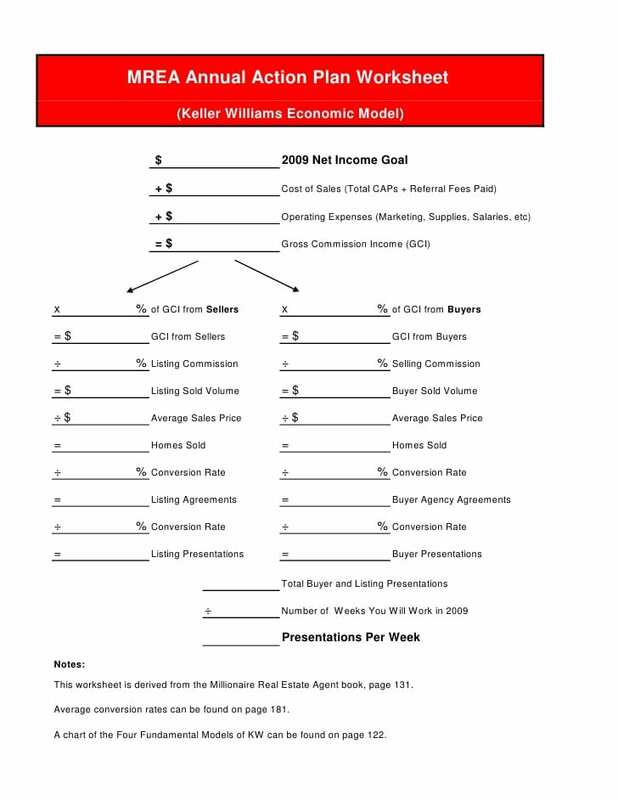 I took to the MREA (Millionaire Real Estate Agent) and began learning the models. “Wait… I thought this blog was about real estate teams,” you are probably thinking. But before you would get even close to building a real estate team, I would hope you would first determine your business plan, so you can then help your team members determine theirs. You’ll want a profitable business and adding leverage before you are ready can quickly send you into financial ruin. Before I could build the team, I had to understand how my business would make money. In order to do this, I first had to understand listings, buyer sales, and devise a plan as to how I would generate this business. I first set a goal around incoming commission and then backed that out to determine how many sales the team would need at our average price range to earn an estimated GCI. This was my companies economic model. I used the MREA Business Plan and a box of sharp pencils and erasers carried around in a black binder while I spent a year learning, creating, and editing my models. To earn $500,000 in GCI, we would need to close about 84 transactions. Next, I would figure our probable listing-to-close ratio and buyer-to-close ratio to determine how many contracts we needed. – If I know our conversion ratios, I would plug them in here. Otherwise, we may use an “average” of the market and assume until our tracking can verify. Assuming an 80% listing (buy or sell) to close ratio (and as you move forward you will want to divide buy and sell conversions for better figures), you would need 106 buyer and listing contracts to close 84 transactions. Then, I would figure our probable appointment-to-contract (buyer or seller listing) to determine number of appointments. Assuming our team has an 80% appointment to contract ratio, we would then need 133 appointments to create 106 contracts which would lead to our 84 transactions closed. Then, I needed to know how many leads we would need to achieve this. The Lead Generation model is one model to which very few pay attention. It’s more challenging than others. Most real estate team rainmakers build a team because they have a lot of leads. Many have a single primary lead source, and some have 2 or 3 primary with several secondary. When you get very purposeful about your business and your models, you can master the lead generation model which will give you more power for your business. When you grow a team, this lead generation model will be key to making sure you always thrive with leads. Creating a model will then give you measures that will show you immediately when there is a gap in your lead generation model. Since your lead generation is key to your build and keeping your team alive, you will want to adjust quickly if you see any weaknesses appear in your lead generation activities and results. Based on my Economic Model, I understand that I need to get to 133 Appointments. I need to know what leads will get me there. Ideally, I would know my conversion rate per lead source to better create this formula. The assumptions on ratios I’ve used here provide an example. You’ll want to determine your own. I would further break that down into a buyer side and listing side volume as you will see seller leads and buyer leads from various sources will have different conversation ratios. What this math does for you is provides you with the guaranteed formula for success. If you commit to generating these leads as a team, or as an agent, and track them, you will always know where you are with your business. If you create this model and find you are not generating the appointments, you know that you are either missing the activities or the conversion rates need to be changed. Then, you know where to focus on improving your skills. Is it in the lead generation activities? Or is it in the scripts to convert? If you learn this before you build a team, you will be a master of lead generation and provide what few rainmakers can provide to their real estate team, a formula for success with no roller coasters (meaning no goose egg months without production and other months with outstanding closing volume). As you build your team, you will be fascinated by the differences in lead generation disciplines and in conversion rates. I believe the difference between a team member that succeeds on a team and one that fails is their willingness to be accountable and their desire to practice self-mastery. They will reach out to others that are the best in that role they are in and learn from them, shadow them, find a mentor, and attend training and coaching. You won’t have to push them for this, they will already chase it. If you don’t find team members who practice self-mastery, their ceiling of achievement will become your ceiling of achievement. (Oh, and, by the way, this talent is rare). Your role as the leader will be to teach them how to think. Later in this post, we will discuss accountability and how that shows up on a team and who’s role it is. The budget model is key to running a profitable business. Begin with the MREA business plan and use the suggested model. Salaries and Lead generation will typically lead in the expenses. The key to the budget model is the balance. If you take give more to one category, you must take it from somewhere else. If you don’t, it comes out of your profits. Let me give you an example. Slow down and take it in because this is where I got in trouble. See MREA is based on a millionaire real estate agent bringing in a couple of million in GCI. In the lower numbers, this gets tricky to add up. Let’s say you earn $300,000 in GCI. Your starting budget is $300,000 with a goal of 40% commission. You’ll spend about 30% (29.2% per model) on operating expenses and 30% (29.2%) per model on cost of sale (paying agents, referrals, cap/franchise fees). You have 1% of $300,000 for Education = $3,000 for the year. Um. Really? Not where I come from. Coaching alone would skew that budget. Let’s say you attend one convention a year, have some sort of coaching, and will get in a few classes. You are going to spend an estimate of $12,000 a year on education.  That’s 4% of your operating expenses. Now, you would have to choose “what gives” in another area. Maybe, you decide to work on 37% profit now, consider it investing in yourself, and make the education budget 1%. Or, you have to take it from another area. Maybe you don’t have 9.2% in salaries yet. That’s only $27,600. Your first part time admin will eat that up. 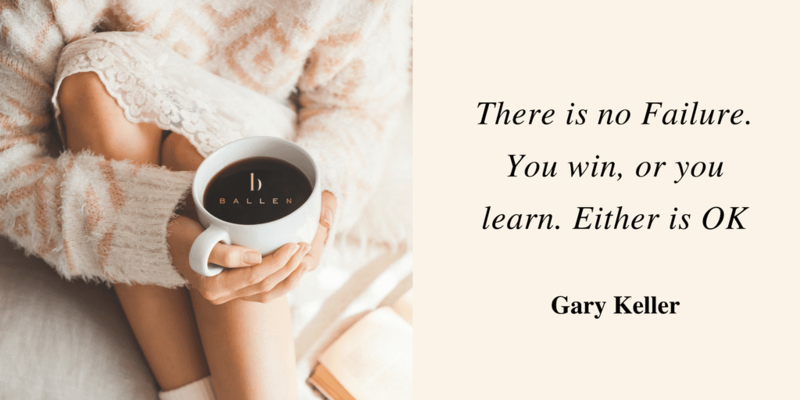 You still have to learn and grow. Where else will you take it from? ⛔ There is absolutely, no miscellaneous category. Now, if you had 1 Million in GCI, and 1% of your budget was for education, you’d have $10,000. Still not enough if you have a mastery coach. Your cost of sale is your cost of doing business. It’s what you pay your brokerage, franchise fees, and your team members. Let’s say you pay your brokerage $15,000 annually. It’s a franchise, so let’s add in a few thousand. Your fees would be $18,000. You earn $300,000 in commission. That’s 6%. The other 24% is for team members. Now, you are going to say “How can I pay an agent 24%”. You don’t. It’s an average of listing agent + buyers agent. Remember, MREA was based on a millionaire agent (2.4 million GCI) who has a listing agent on salary + small bonus. Maybe you are heavily listing based 60/40 and 60% of your transactions don’t have a cost of sale. Or, you have a listing agent earning 20% and your buyers agents are at 50%. You do more listings than buy sides. This is where that balance would come in. A Buyer Agent on a team is on a 50/50 Split. She closed a transaction and received a $5000 total GCI to the team. The Buyer Agent received $2,500 and paid her own contribution and fees to the market center. The rainmaker then receives $2,500 to the team. The Cost of Sale (COS) was the $2,500 paid to the buyer agent. Let’s say the franchise fee is then 3% ($75.00) and the brokerage fee is 20% ($500) the team is now depositing $1875 in the account in which they would use to cover expenses. Some pay themselves only in dividends. Others put themselves on payroll. Payroll is a smart option as you are immediately paying in taxes. The mistake is when you pay yourself out of your commission checks because you assume that’s your profit. When I first did this, I ASSUMED a 40% profit based on the MREA model. In order to pay myself, I simply cut a check to myself for 40% of that $1875 that would go into the account. This means I would have been paid $750.00 for that transaction. Right, I didn’t make a lot of money. That part is pretty obvious. And in 2015, with price ranges in Vegas still only about $200,000, I wasn’t a millionaire from this now either. Back to the mistake, when I drew 40% profit, I was not considering taxes nor building in reserves. When times got tough, I had to put personal money back INTO the account in order to cover payroll or a bill, etc. It was a few years later when we I put myself on a structured payroll based on proven profitability and only drew more when I had certain measures in place. By the time we did this, I were no longer in production, nor was I required to be in the office, and this was pretty “passive” income at this point. It was steady and made sense for me. The Challenge with the budget continued in that my education costs well exceeded the budget. I am an incredibly learning based person. I have coaches and believe in ongoing training. Just my personal education exceeded the budget with travel costs, not to mention when I started building a team. I paid for everything. I believed it was my obligation to cover education as a value proposition. I believed that if I got my team members plugged into education, they would grow as I do. This was not always the case. I found they took it for granted frequently, and travel events became a “party” more than learning and networking for referrals, and it was killing me on profitability. I spent $12,000 one year just on a coach for a team member that did not wind up growing into the role. It was not the coach’s issue; it was mine in that I hired and invested in someone that actually wasn’t able to truly step into the role he was in. In any case, I had to solve my budget issue where it came to education. I did a few things. I lowered the lead generation % a bit because I did so much online that did not have a large expense. My business is 1/2 internet driven, and 1/2 Real estate Referral through Social Networks and my lead generation costs are lower than those doing direct mail and radio, etc. It still wasn’t enough. I did want to offer incentives to cover team education in full or part when they earned it. So, I began teaching. This was my way to increase my education budget. For every training I did and earned income doing so, I put it directly into our education fund. This clearly won’t be the answer for most of you, I just want you to understand how I personally solved this issue. Visit your money frequently. Never let someone else take over financial responsibilities removing you from the loop. A budget and P & L should be reviewed no less than monthly. Doing the research to determine how the money in your business should be spent and then not following it can be summed up in two words: Sheer Folly. This is my favorite model. The organizational model is how your company operates through people. If you have read MREA, you have seen the path to the ‘7th level’ and although there are some new positions in 2015, the overall concept doesn’t change. I’m going to take a bit of time now and break down roles on a real estate team and then we can get into compensation. Keep in mind that many of these have different titles depending on the brokerage. Sometimes even within the same brokerage, people call them different things and define them differently. You have the right to call your team members whatever you want. You can organize it how you like, and assign tasks as you like. You can pay them whatever you wish. I highly suggest though that you first master the models we’ve been given based on the great team builders that have gone before us and then make them your own. Tip. Everyone, in every position, should have a “ONE THING” activity that directly results in growth. This is key to the team production and profits. When you first begin in real estate, YOU are the CEO. You are the rainmaker (the person on the team that brings in the business). You earn the Mega Agent Title at Keller Williams when you reach a certain level of production and have a small team. As of most recent, the Mega Agent qualification I heard was 10 million with an admin and buyer’s agent, but I hear various versions frequently. Overall, it’s a high-producing real estate agent who has a team. At some point, you may hire a CEO, and their role will now be to grow the team. Putting someone in this position based on their culture and loyalty rather than their ability to grow others; Very costly mistake. Cost us years of setbacks in the growth of our team. The Good News – Even though I moved the CEO out, we never had to step back into production. My administrative team was strong, and we also added agents in “pairs” never leaving only one to take listings or work with buyers. It did leave me with a ‘leadership gap’ though, which showed up during my divorce. Vision (This is where the Mission, Vision, Values, Beliefs, Perspective comes in). A leader casts their vision early and often! Leadership: Typically the Rainmaker is in charge of hiring, firing, training, consulting, and accountability until they bring in leaders at which time they become leads of their departments taking over these tasks. (Oh, what a glorious day this is!) I hired my COO (Chief Operating Officer, also known as an Assistant Executive (AE)in Keller Williams) who now leads my entire administrative team, processes, and systems. Future Casting: One of the key tasks for the key leader is watching for shifts in the market. Many agents are fantastic at doing the daily activities but fail to look forward and shift where needed. We learned this by watching the big REO agents fall right? In the early days, this person handles all things administrative and will later grow into more of a leadership position. Maintains receivables, expenses, bookkeeping. In the beginning, we did do our books in-house. After all, there simply wasn’t that much to manage.We used Quickbooks online and set up the basic categories based on the MREA budget model. It wasn’t fancy, but it worked. Over time, we became hungrier for more data. We wanted to really drill down and discover expenses and ROI on marketing efforts, and so we hired a professional. Builds and maintains the database. Creates Reports: Lead Sources, Production Numbers, ROI, etc. Processes all transactions from contract to close. Manages the storage for Team Documents. In most cases, anyone handling transaction documents will be licensed. In most states, there are limitations to what an admin can do without a license and nobody really wants that barrier. Check with your state laws to determine licensing requirements for your administrative team. When you are fortunate enough to have an executive admin and have enough transactions and profits to award you another hire, you may choose a transaction coordinator. Some choose a marketing manager. Either will be your choice to make. I personally learned that I would have been better served making my 2nd hire a database manager who also assisted in marketing. May do marketing processes such as just listed / just sold cards, open house prep, etc. Orders yard signs, inspections, photographers, etc. Implements the new listing marketing plan: photographer, appraisers, stagers, etc. On a team with administrative support, will hand off listing to be processed. Some teams have moved to lead buyer specialist and showing assistants. In this case, the Lead Buyer Specialist will consult and select homes but will not show homes. The lead buyer specialist will resume their role when the buyer is ready to make an offer and will see it through to the finish. Typically, the showing assistant simply shows homes. On some teams, the showing assistant will select the homes as well. This is sometimes the same thing as a listing agent but will sometimes lead additional listing specialists. Ensures everything is current on bookkeeping, legal contracts, health insurances, licenses, trademarks, copyrights, etc. Grows the team through systems and processes that bring in additional business. This list is much longer in real life – just ask my COO!! Directly in charge of protecting profits. This is where it gets real good! If not the mega-agent himself, this would be a leader who oversees ALL. The CEO is generally the highest position on a team and should not be given lightly. They are DIRECTLY responsible for growth of the team in production and profits. They are responsible for team culture, casting the owner’s vision, creating team morale, hiring, firing, training, leading the sales team. If there is no COO or leadership EA, they may lead everyone. By the time a CEO is named though, those other roles would all be in place. It’s a beast to even go here and cover compensation because this will vary tremendously from team to team. I’ll give you some generals based on my experience in the market, but please know that dollars will vary massively based on price ranges, the cost of living, experience, and many other factors. I can tell you that when I hire a new team member, I ask them to give me three numbers. Their Yippy Skippy, I’m-never-leaving number. During the first 100 days, they generally start at the MUST survive number. After they complete their 100 days of training, they move to their content number and earn into the Yippy Skippy number. If I’m recruiting high level talent, I may start them at the second number. You are lucky if you get paid, (hahaha. Kidding.) In all honesty, how much you make is up to you and so is how well you plan, lead generate, convert, earn, spend, and keep. MREA suggested 40% profit for an agent who earns 1 million dollars in GCI. We hear now that a 7th level team is typically in the 30-35% range. I do know some that are still rocking much higher profits based on their vendor relationships and obsession with keeping costs low. In my market, Las Vegas, the Mega Agent who closes 100 units could earn around $250,000 – $300,000 take home. That’s not a huge amount in my book. The goal is to increase units and price ranges, and many achieve this goal. I know an agent in Houston that told me his salary this year is 1 million dollars. Of course, he projects about $250,000,000 in sales and over 1500 units closed in 2015. He also has a lower price range. I find hope watching teams like this. I’ll tell you that I kept that much in 2013. In 2014, I invested back in people and made more money on my education company. In 2015, I’ve invested back much of it on people. Better hires. It was a choice I made because I believed in expansion, and I understood that to go there, I needed a COO. He earns 6 figures, but he runs both of my companies. If you were to divide it between both of them, he earns $50,000 as the COO for our real estate team. His potential for wealth is huge because of the profit share model and expansion. In my case, he will earn profits on both companies. Please keep in mind that I have that rare situation in having two companies that run together. I’ve seen some Executive Administrators paid hourly and some paid a salary. I suggest higher than what your market bears for an EA. This is a KEY role. What you have to remember is that paying more will not necessarily get you better talent, but paying less will ensure you don’t keep it very long! In Vegas, I’ve seen administrators earn from $12.00 an hour to about $25.00 an hour (which is $52,000 a year). $30,000 – $50,000 a year here would be normal. When hiring an administrative LEADER, it’s important to consider the market rate to be that of what an office manager would earn. Don’t pay your EA based on an “assistant” or you may find growth challenging through this person. That being said, many can’t afford more. Here’s what I’ll tell you. Not once, EVER, (to this date and hopefully forever), have I had to let someone go because I couldn’t afford them. Talent shows up. Talent will earn the income you need to pay them and then some. You won’t have to doubt it. It might be tough for ends to meet, but if they are talent, the ends will meet. If not, you’ll know it, and you can cut it quick. I have honestly let many people go in their first 100 days of training. I’ve let some go during the first week. It doesn’t take me long to see that someone is not going to do well in our culture or isn’t going to apply themselves, or maybe they even bring some drama or extra baggage to work that you didn’t spot during the interview process. The better we hire, the more likely we are to avoid cuts after they join us. (SEE Recruit-Select Training on how to select and Hire and then Action-Train on the 100 days and beyond. In our market, Las Vegas $12-$15 an hour is normal. Our Transaction Coordinator works M-F from 8 AM to 5 PM, but they jump in whenever it’s required, weekends or late evenings, if necessary. You’ll most often see 50%. Some are now going 35-40% that have added Inside Sales Agents. The opportunity for a buyer’s agent is to become a Lead Buyers Agent and have a showing assistant or lead other buyer’s agents. It is suggested that they will earn 50% of the buyer’s agent’s income for that property. In many markets, this number is lower and in some cases this showing assistant receives an hourly wage for their time plus bonus. MREA suggests a 6 figure income which could be 10% or a salary plus 10% or any figure you deem worthy on your team. Keep in mind MREA was based on a team profiting a million dollars that had amazing administrative systems. The listing specialist in that model is simply showing up to appointments and locking them in. They hand off the listing to the admin team and go to the next appointment. Of course they still handle things like price improvements, but the administrative team is on hand to process and lead generation is handled by a lead generation team generally. This listing agent could then easily take 100 listings a year plus and 10% would add up quickly. You must look at your team and have it make sense. Here’s where you need to be careful: Your listing team is your most profitable side of your business. You don’t want to give that piece away too early or overpay in that position. Before you build a team, you must have a vision for where you want it to go. This vision will be something that launches your culture. It will be something you discuss on a regular basis on your team. You’ll need to get them to buy-in to your vision and make sure you are hiring TO your vision. Then, you can never stop casting it so that the players on your team are living the vision. For my team, I discuss it a lot. It’s quite simple. My vision for our team is simply to be the company that everyone wants to be part of and if not, feels like they are missing out. Whatever yours is, make it yours. Discuss it often. Casting a vision is more than just reciting your vision statement. Your vision will grow as your team does, and it’s important to remind everyone of the path, the opportunities, the growth potential, and mission for the company. When people believe in this vision, and the mission, and the direction of the company, they will be less likely to leave when they see a shiny object. Our team created the following belief system. These became our core values and are often discussed. 1.) Teamwork – To value each other as individuals as well as partners. 5.) Growth – Busting Through!!!! Where Ceilings become Floors. 6.) Exceeding Expectations – Never stop wearing our WOW!! 9.) Discovery- Discovering, who we are so we know what drives us. I’m going to be incredibly honest here. This is not one of my gifts. I’m self-accountable and struggle with holding others accountable. I’m going to say that it’s the most important activity for a team, accountability. Most “Mega-Agents” who take a behavioral assessment will see accountability on the lower side of what’s “natural” for them. This is where we have to use the E to P (Entrepreneurial to Purposeful) steps from the 6 personal perspectives (KW Trainings) and create a purposeful system to ensure accountability is a major part on a team. Accountability starts as soon as we hire a new team member. We are taught in RSTLM to have an expectations dialogue with the new hire. It’s basically a “How do you win with me, How do you lose with me” conversation that clears up any ambiguity as to how the two of you will communicate. This expectations dialogue should be referred to frequently as the leader and new hire are getting to know one another. One of the best questions in there is: “How honest do you want me to be with you?” The talent defines what that means to them. When we are accountable to communicating in the way we agreed upon, we immediately have a leg up in the process. If we don’t, we create friction from the onset. When we bring on new talent, there’s a training process. RSTLM offers the 100 day training program. The course even gives us sample 100 day outlines for a new buyer’s agent, and a listing agent, and an executive admin and so on. This 100 days is amazing, provided we remain involved and hold our new hires accountable to completing the tasks and reaching the milestones. I’ll be honest. I’ve failed at this, more than once. In fact, it’s a painstaking process for me. When I have done it all the way through with my hires, they succeed. I have shining examples on my administrative team (Hannah and Victoria, for example) that loved this training, succeeded, and are doing wonderful. I’ve got a listing agent (Lynn) that has been with me for years that went through her 100 days and of course came out of it a 100% self-managed individual. I’ve got examples where I didn’t do it, and most of those people are not around today. That’s it. It’s about self-discovery. It’s not about beating them up because they didn’t meet the standards. (That’s left for another conversation). It’s about helping them realize which activities they may not have been disciplined about that would have led them to their goals. It’s about self-discovery to realize what needs to happen next. When we “tell” someone the answers, they don’t “feel” them. It’s important to ask the right questions that will lead someone to a personal realization. A-HA! This will lead to movement. Telling them how to solve their problems won’t lead to realizations. Oh, here we go, it’s the “S” Word. This word bothers me in the world of team building. Why? Because I hear it all the time “Our standard is 4 closings a month”. Really? Because your team reports show that you have 3 agents on your team and none of them are averaging 4 a month. So what is a standard then? Dictionary.com defines it as something considered by an authority or by general consent as a basis of comparison; an approved model. Merriam-Webster defines it as constituting or conforming to a standard especially as established by law or custom. Law or Custom? Yes. That’s what I think of when I hear the word standard. Anything below this standard would be sub-standard then right? If your “Standard” is 4 closings a month, and you have 3 producing agents, then 144 units a year would be the standard for 3 agents. If you set a standard and hold others accountable to it, that’s fantastic. I used to do this, in the beginning, and then I decided that wanted to welcome real life. Ready? This is the part where I get real. REAL LIFE does not hand you an army of 4 unit + a year producers!!!!! In my market, if you do 48 units a year, you are in the top 2% of our market. Holy cow. It’s just not that easy. It should be. Yes. It should. On a team that offers lead generation and transaction coordination support, that says the agent only has to convert leads to closings, it should be, but it’s not. It’s not always a work ethic issue, either. I’ve seen agents with amazing work ethic never reach 48 units closed in a year. Why? Well to me, that answer is easy. It’s simply the choice on what activities they CHOOSE to focus on. The agent that works more diligently on lead generation or closing leads to appointments will close more transactions than the one that chooses to get wrapped up in paperwork even though they have a TC because they are a control freak with the contracts. The agent that chooses to do their daily activities while sitting in an open house instead of sitting in the office is more likely to close more transactions. The agent that COUNTS their calls so they know how many calls they have to make to set an appointment is more likely to succeed than the one that goes through the motions just because 8-11 AM is “lead generation time” and they want to follow the rules. The agent that MASTERS scripts instead of “winging” it is more likely to land more appointments and higher commissions. The agent that CHOOSES to focus on a certain price range, or niche, or neighborhood instead of simply taking the low hanging fruit will have a higher closed price range and higher closed GCI and probably have to do less field time. The agent that CHOOSES to learn leverage and work through administrative professionals and showing assistants and listing coordinators and will certainly close more units because they have learned the power of success through others. The agent that holds an open house, and implements a plan of door knocking, and inviting neighbors, and calling around, and running ads, and hanging flyers, and putting up a massive amount of signs, then laying out the open house strategically, and getting everyone to sign in (legibly), and then following up to convert will have a much higher probability to do 48 units a year than the agent who simply throws up 4 signs and “SITS” the open house. So what are my standards? Simple. Do what you say you are going to do. That’s it. Yep. It’s true. I did away with the “TEAM” X number of units a month or else. You know why? Because I wasn’t willing to do the “or else” part. I’m not going to fire someone who does 36 units a year because they didn’t live up to the teams “48 unit a year standard” I hear so often. I do think great leaders can take a sales person from 36 units a year to 48 units a year through those accountability conversations. If you are willing to have the conversations, you can help talent achieve more. Talent will WANT more. They will PUSH for more. They don’t always know where they are stuck, and you helping them self-discover this during a 411 can be the answer. Don’t ignore the personal goals on a 411. It has been my experience that frequently when someone is struggling in their professional goals, something at home is also struggling. It might even be that they haven’t set enough personal goals or tied in a purpose “big why” personally to their professional goals and so they may not have the DRIVE to push through the challenges and the activities they don’t like as much to reach those goals. A KW style BIG WHY session may be in order. I appreciate the tool “Getting The Book” from the RSTLM series. It helps us discover what is important to our team members. It helps THEM discover what is important. How do I set my standards then? When a new team member joins our team, we do a business plan. It is essentially the economic model I showed you earlier, backed by the lead generation model. Next, we take out our math worksheets and back out what that looks like. Then, I wait. Sometimes they are in shock. Sometimes, OK, let’s be real, almost never does an agent come to us that gets the math at a high level. They have never actually taken the steps to determine the plan to reach a certain sales volume or GCI or profit or unit goal. They just roll into the next year saying “My goal is to sell $10,000,000 in real estate” and they rarely know how to get there. When they answer yes, I get their commitment. That’s when we design the 411 based on that plan. What do I hold them accountable to? What THEY set on that plan. I believe every team will require some basic and then advanced systems. The sooner you can get systems in place, the better. When I started in 2010, I was completely broke. I was living on Top Ramen, had no credit, and couldn’t spend money on anything. Everything I used was whatever was free. There are some great free systems out there. Once I had a budget, I moved from Free to CHEAP, and then as my budget grew, I was able to move to systems that covered my wish list. I then could buy the Bells and Whistles. 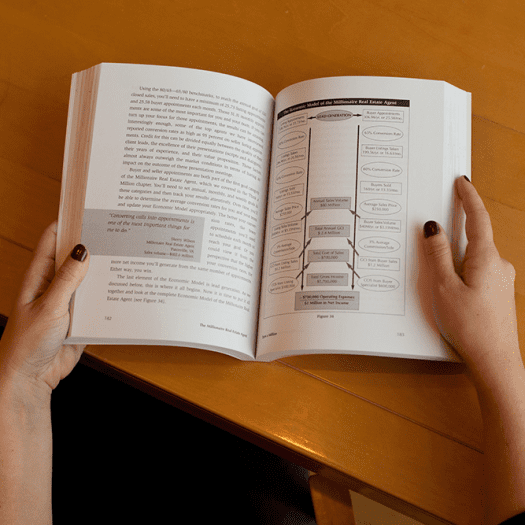 Operations Manual – START NOW. Document everything you do. Hire someone to document everything you and your team does if you are not a “document” person yourself. I started by simply recording all of our presentations and calls and systems and processes on video camera and saved them in a Youtube account set for unlisted. Then I created a spreadsheet with links to the videos around the topic. They were messy, but efficient. Next, I used Quicktime on my computer to record screen captures of the steps I did and added voiceover commentary for the person that was going to learn the steps. When I got a MAC computer, I bought software called Screenflow for MAC that I like a bit better. Camtasia is another screen capture tool I have heard a lot of people swear by. Once I had a catalog of these, I set up a basic hosted WordPress Account and set up user permissions. Once I began to hire team members, they had to add to the system. Every time we have any new process or system, it is added to the operations manual. We also add videos we love from other agents or trainings. This system got so comprehensive that I was able to build my 100 days training completely around links to videos and step by step tutorials in my online operations manual. Now, we don’t have to “train”, we simply hold accountable to the training. TIP: Every time you add a system or process to your team, assign it to ONE person. They then “Own” that tool. They are responsible for learning it, documenting it, and training the team. It’s their role to share new features or upgrades and get buy in for the tool. This is not always handled by an admin. You may launch a new listing presentation. The lead listing specialist has to learn it, document it and get new listing agents to learn it. You may launch a new Open House Strategy. You assign that strategy to the buyer’s agent and he/she has to learn it, master it, document it, and update it with any changes as the years pass. When someone is promoted to a new position on the team, that tool is assigned to someone new. Phone Systems – Start early and decide how your team will handle calls. Will you round robin style leads? Will one person receive leads? (Yes, this will change over time). I adopted the Google Voice system early on. I got two phone numbers. Neither was my personal cell phone.We put the google voice buyer line on the yard signs and on ads and we had another phone line for Listings and those went on our home value offers, postcards, just sold announcements and so on. Google Voice allowed us to forward our phone numbers to ring on up to 5 lines (FREE).The draw back was that only one google voice line could assign to a phone, so you can’t have the buyer line and listing line going to the same phone. What I loved about the two lines was that when that listing line ring, EVERYBODY dived for it. We have now switched to a more comprehensive system because of expansion.We are using Ring Central and have a 1-800 number with extensions to our various locations and departments. You might also consider whether you are going to use auto dialers and phone lists of any kind. We used Cole Realty for a while to obtain phone numbers for circle prospecting. We use Voice Shot for recorded call Blasting. Here’s a blog I wrote on popular auto dialers. Email Systems – How will you handle email? Will everyone use the same system or various systems? How do these play with mobile devices? Do you want to be able to track agent emails? This is one of my favorite features in Contactually.It tracked email communication regardless of the email platform. I do think they had to be an imap though, if I recall correctly. Here’s something to consider. Let’s say you hire an executive administrator.You give her an email like lisamarie@joemichaelproperties.com. You have all of your leads, and offers, and communication filtering into Lisa Marie since she is your executive admin. Then, Lisa Marie hits the lottery and quits her job. The odds that you will hire another Lisa Marie as your executive administrator is slim. If you have to hire to a name, the talent pool gets scarce (That was a joke. Please do NOT hire to a name).It may be smarter to set up emails such as sold@joemichaelproperties.com or offers@joemichaelproperties.com or transactions@joemichaelproperties.com or info@ or support@ or mail@ and so on. We now have marketing@theballengroup.com that goes to our marketing manager, transactions@theballengroup.com that goes to our TC, and we have coo@ballenbrands.com to our AE and so on. Just something to consider so you can scale later. Tracking System – Know your Numbers! Track early and often. – Have everyone on the team, STARTING WITH YOU Track their numbers. Use a Google Spreadsheet or online platform such as Keller Williams MAPS tracking called KDNA. You’ll want to know the teams’ numbers and each individual’s Here’s a blog I created on tracking that could help get you on the way. Transaction Management System – Adopt something you like. My suggestion is to have your EA find something they believe in and will use at a high level. Make sure they document everything in the operations manual so your next hire can use this. Marketing Tools – These would be marketing tools for blogging, postcards, mail outs, email campaigns, closing gifts, branded SWAG and so on. These are landing pages, and lead magnets, and lead generation tools, conversion tools etc. You can find the tools I use at LorisTools.com. Remember, I started with FREE and earned my way up to CHEAP and then bought bells and whistles. Email Broadcasting Service – services such as bombbomb, mailchimp, Constant Contact, A Weber and so on. We have now switched to Infusionsoft for our email blasts of any kind and are using LeadPages in conjunction for fancier templates. Calendar – This was a PAIN for us for years. You’ll want to find a calendar system that allows certain privileges and the ability to see your teams’ appointments, 411 schedules, team meetings, education events, travel dates and so on. We now have a calendar with infusionsoft we like, but used a combination of calendars before that. If you can get everyone using Apple Products, this is easier! (plug for Apple. And, no I have not gotten everyone on Apple products… YET… but it’s my mission). Communication – How will you communicate? Will you have an interoffice chat system? I just love Teamwork and Teamwork Chat. It’s a software that allows us to set up projects and communicate with each other on that project.This is excellent for wanting to see everything that is happening with a new listing or a new buyer. You can even email all users and choose who sees the email, and it’s sent to each and documented and responses are then documented in the project as well. We started an ichat system and quickly got rid of it when realized it was more of a distraction of the team than a help.When we offer “chat”, the team gets very social where documented emails are more focused. You may want to do a Facebook private group just for your team as well. It can function like a company newsletter of events, announcements, awards and so on. It’s fun too. Just don’t expect to put a mandatory team meeting on Facebook and have everyone show up. Keep that one social and one would be my advice. Otherwise, your non-Facebookers (most of my early 20’s team members) won’t see it and won’t be there. Referral Tracking and Reward System – Decide early on how you will handle referrals. Consider real estate agent referrals. They require tracking and follow up, and signed referral documents. They will require communication and updates throughout the process. They will require a CHECK at the end. Will you thank them only with a check? Send a gift early? A Card? A Thank You Video? We use Send Out Cards and send brownies when someone sends us a real estate referral. We believe in rewarding the behavior. We want them to know that their referral was valuable and appreciated even if it doesn’t result in a closing. Always have your administrative team adopt and roll out your systems. Yes, I still make this mistake from time to time because I’m the marketer, and some of my systems require “marketing” processes. When you do it, you own it. When they do it, they own it. I don’t think it’s bad to be involved, but they should set it up. Otherwise, you get emails saying “Hey, can you run the X report for ROI on X” because you are the one that took control. Oh, I loved this comment from one of my mentors once. He said, “3494’s live in the weeds.” What this means for those of you who don’t know the AVA behavioral assessment is that the general administrative professional that fits that profile is always feeling a bit behind and chasing tasks. I find myself constantly having to help 3494’s prioritize. I work hard to teach them how to think to prioritize but when they are new to the team, they may not even speak the language of real estate, and may need guidance on what’s most important. Then we teach them how to think, and they learn what’s most important as we grow. Loyalty was for the longest time the most important qualification I looked for in a team member. Not anymore. I was burned several years ago when someone recruited some team members off my team. Now, I have to say that neither of these team members was of great value to us as a team. In fact, they were both detrimental overall. And this was my fault as a leader that I allowed them to stay as long as I did. I felt I could “help” them or “grow” them somehow. I was working hard to shift them to different positions on our team thinking that would be a fix, (it rarely is by the way. Moving positions on a team should be about more opportunity for talent, not to fix what’s broken with that individual’s results on the team). When a shiny object came along, they decided the grass was greener and left. I was hurt and allowed that pain to then change what I wanted in team members. I moved out of the office, got my space, and decided I would “protect” us all by keeping us isolated. My interview process changed, and I began to DRILL for loyalty. I ignored when someone wasn’t especially learning based, or didn’t have a history of success, or didn’t really seem to practice self-mastery or accountability. I made them fit because they seemed like such a Loyal person. And then, my most loyal person ever… left. After nearly 4 years, he left. Why? Because we were no longer a match, not because he wasn’t loyal. I’ve actually moved back into the market center with my team, and we work side by side with those same team members that were recruited away years ago. I got over it. I don’t socialize with any of them, but my “fear” of someone being “stolen” is gone. Ben Kinney, who I personally admire a great deal for his business building concepts, marketing mind, and for the similarities I believe we have, has given me some amazing advice on more than one occasion. One time he leaned over to me and quietly asked me this question “What’s the truth?” and then just sat in silence while it sank in. I was feeling inferior. I hadn’t done enough, or moved fast enough, or produced enough, or built enough, or profited enough, or hired the best talent, etc. etc. and I was creating my truths based on what I saw in the world of Mega-Agents. Everyone seemed so perfect and here I was still screwing up. The truth is, most of them still have a mess. Most of them face turnover on their team. Most of them have gaps in talent. Many of them have profitability issues. But most of them won’t tell you about those things. Of course, he did make it. In 2015, his goal is 1529 units. He is now earning a salary of about a million dollars. I’m not suggesting you debunk everyone you see on the stage. I’m saying, they didn’t just “show up” overnight. They sacrificed, and I can guarantee you, they would tell you they are not perfect if you asked. Don’t… Don’t confuse Work Ethic for Drive. Don’t believe that Drive will generate massive results either. I’ve seen amazing work ethic in people that still don’t get great results. It’s where they focus their activities that are key. You may have someone with great work ethic that is eager to please, but not driven by numbers or results. They just are not naturally a result oriented person. Maybe they are more task driven. If you have them in production, a results oriented role, and they are not production oriented, you will have an issue no matter how hard they work. Start attending trainings like RSTLM as soon as you can. Find someone who has a team like you want and start following them. If you can, interview them. If they offer to mentor you, take it! Decide on your Standards (Customer Service, Culture, Production) – Remember, Standards should be upheld! Determine what systems you will begin with and which you will add and when. Create an Organizational Chart. Mind Map where you are now and where you want to be someday. Decide on your human resources policies. Will you offer health benefits? Paid time off? How will vacations work? Sick Days? 401 K? Bonus? Growth Plan? Remember that your first and generally 2nd hires should be administrative talent. When you hire your first administrative hire, you should be able to double your production as long as you focus your hours on Lead Generation and NOT ON GOLF! Decide what tasks the people on your team will fulfill. Set goals based on your production goals first. When you hire, you must involve your team in these goals. If their goals don’t add up to your goals, you will have an issue. Begin to learn leadership skills ASAP. Your biggest gap won’t be hours in a day, it will be lack of leadership skills if you don’t already possess them. And even if you do, you will need higher level skills as you grow. Log on to Agent Mountain and listen to Gary Keller’s interviews with anyone who has a team. Write down questions. Seek these people out and ask them! Learn from them. Don’t hire someone from someone else’s team. Just… ICK! Don’t. Determine your team name. Check with the state and be sure you are in compliance with state regulations for team and group names. Design your brand. Be sure your brand matches the culture, flavor, and MVVBP you created. While you will see many variations, here is a sample real estate team structure with compensation. Please understand that this is only based on some teams and there are really so many ways to build a team. The Millionaire Real Estate Agent (MREA) has always been a great guide for those that want to build a profitable real estate team that is a business worth owning. Team Lead/ Mega - Leads the team. May still handle listings although many move themselves out of day to day production. Helps grow the team members. Provides accountability, Training, Resources, Connections, Inspiration, Leadership. After the splits tends to keep about 25% of the team profits. Earns a split with each transaction and usually deposits into an operating fund and pays salary or dividends of profits. Executive Admin - If this is the first and only administrative hire, they will generally do the transaction coordination, manage the database, handle all marketing, and may do bookkeeping along with any other administrative tasks. As new hires come on board, they may spend more time leading the administrative team. Generally $25K to $50K depending on your market. Salary is preferred plus benefits. These type of personalities generally prefer a non commission based structure. Licensing would depend on your market requirements. They vary. Transaction Coordinator - Typically, this administrative hire only processes real estate transactions. Licensing depends on the laws for your real estate division. He or she typically reports to the executive administrator which should be the first administative hire. Generally $25K to $50K depending on your market. Salary is preferred plus benefits. These type of personalities generally prefer a non commission based structure. Licensing would depend on your market requirements. They vary. This is usually not considered an excecutive position, so whatever your market sets for entry level admin may be appropriate although you may consider paying more if it warrants. Some agents pay per transaction ranging from $100 to $500 although this will get expensive at a certain volume. Buyers Agent - If they don't have a showing partner, they will show homes, write offers, negotiate. Generally administrative support is provided. You'll see 50/50 is common. Many teams that have Inside Sales Agents (ISA) have gone to a 35%/65% split. Showing Agent - Usually works in the field showing property to the potential buyer. He/She is support for the buyers agent. Generally splits with the buyers agent. 50%/25%/25%. Could be on a salary or paid a flat rate per showing. Listing Partner - May or may not be part of the lead generation tasks. Takes listings although generally had administrative support for paperwork and processing. Negotiates offers and inspections. Generally has a marketing team to promote listing. This is usally a last hire in a team and is introduced most often when the team has over a million dollars in Gross Closed Income. Listing Partner earns a salarly + small commission or could be on a split commission pay as well. Usually this is a lower split as the listing agent can take many listings without being in the field for large amounts of time or behind a computer. Inside Sales Agent (ISA) - Salary or draw + bonus is standard. Cultivates and converts inbound leads. 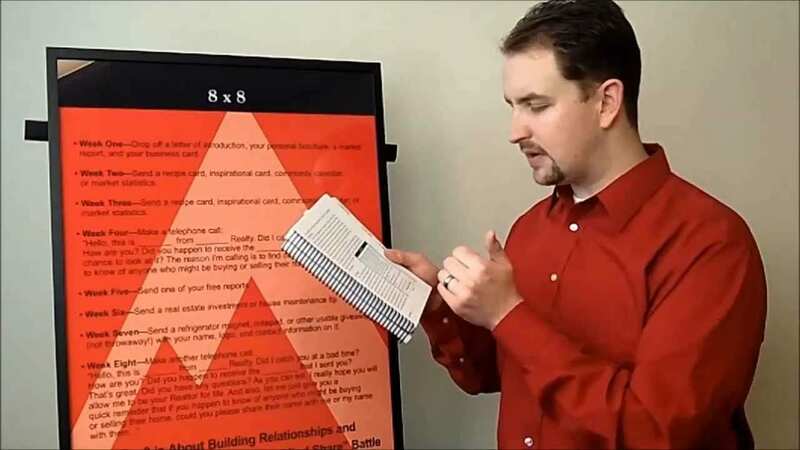 Some Inside Sales Agents also serve as outbound sales agents setting appointments from prospecting. This could easily be a 50K to 100K+ position as they grow to building out an ISA team. Many make a couple thousand a month + 5-10% bonus. These personalities are typically used to basing a good income on earning commissions. Outbound Sales Agent (OSA) - Prospector. Sets appointments from dials. This could easily be a 50K to 100K+ position as they grow to building out an ISA team. Many make a couple thousand a month + 5-10% bonus. These personalities are typically used to basing a good income on earning commissions. I’m afraid I don’t have all the answers. What I have is experience, and I’m happy to share that with you. I'll also share some of the "standard" models including the showing assistant model.